Ready to dive into the world of Apple HomeKit and home automation? 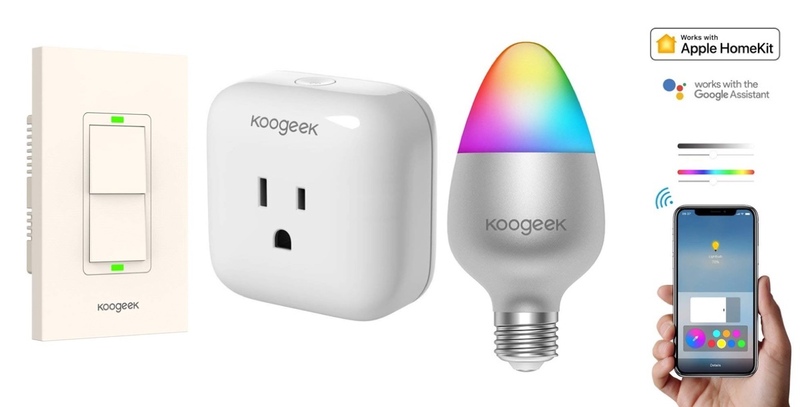 Get started with epic discounts on Koogeek smart RGB bulbs, smart plugs and switches today. Do you have some hard-earned money burning a hole in your pocket as well as an overwhelming desire to introduce some home automation technology into your life? Well, we can definitely help with that with an array of deals all complete with wonderful price discounts. If you have been looking to approach home automation for a while but have never gotten around to it, then this is where you can start. Koogeek is offering a seriously impressive set of discounts on some of its hardware. Check out the deals and get saving, right now! Those who need to inject a little bit of intelligent color into their lives will definitely need to be looking at this deal. 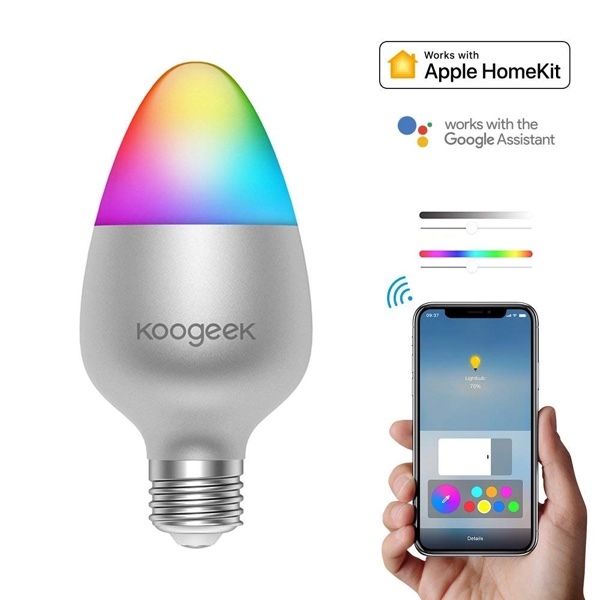 This color-enabled Wi-Fi smart bulb offers integrations with Amazon Alexa, Google Assistant, and is Apple HomeKit-compatible, meaning that it will work seamlessly with other HomeKit hardware and Siri. A great product with a great price reduction. 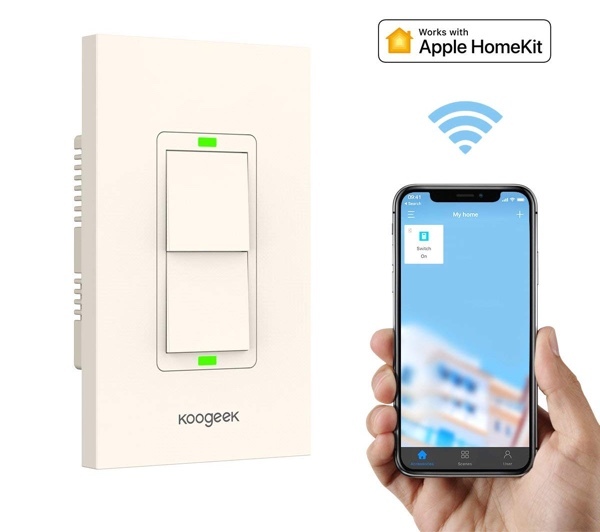 Koogeek is one of the best companies from a home automation perspective as it looks to support all major platforms and protocols. This smart plug with Wi-Fi capabilities is no different. It offers a compact design, compatibility with Alexa, HomeKit, and Assistant, and will give an insight into how much energy is being used for a particular appliance. Definitely worth having in your life at this cost. 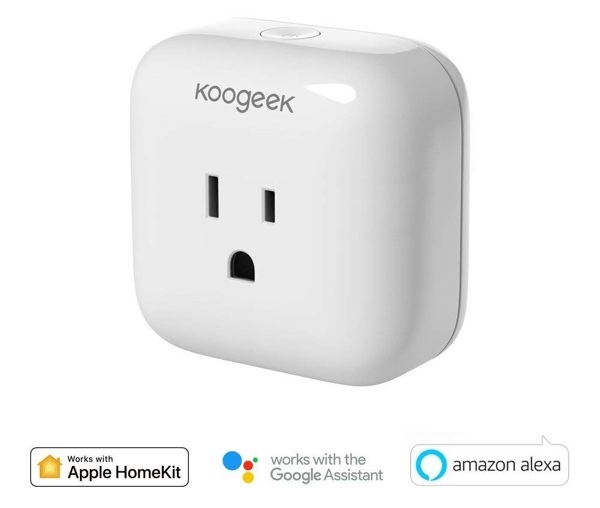 To complete the trio of purchases, here is your Koogeek WiFi light switch offering Alexa, Assistant, and HomeKit compatibility. With this, you can create scenes in order to control multiple lights simultaneously. You can monitor power consumption to get a greater insight into what you use. You really get your home automation setup up and running extremely easily all for just $29.99.